The December issue of Women’s Health has just hit shelves. 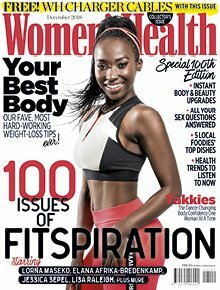 On the cover, Nkateko Dinwiddy (better known as Takkies) shows off her sizzling-hot abs, just months after giving birth to baby Sana. Takkies got back in shape fast. When we called her about being on the cover, she responded: “I can shoot tomorrow! My body is ready!” At the time, Sana was just seven months old. But it wasn’t a crash diet that revealed those abs. Rather, it was consistency and healthy habits. Here’s how she did it. 1/ She came off a healthy base. Takkies has been a dancer since childhood and now runs her own dance fitness brand, Rockingnheels. It keeps her fit and active, as she struts, squats and booty-pops through group and individual classes on the daily. 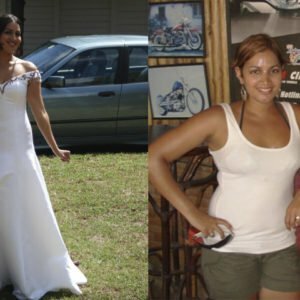 But she also works with a personal trainer to make sure she gets an all-round strength and toning workout – and the results show. “At the time I fell pregnant, I was at my peak,” she says. Many women take up exercise after having a baby because they want to get their pre-baby bodies back. But if your body’s already used to peak fitness and strength, it’s going to be much easier to return to that state after having a baby than if you didn’t really exercise before. Instead of waiting until you have baby weight to lose, get into a healthy exercise habit now already. 2/ Staying active during pregnancy. Not every woman is able to work out during her pregnancy. You should always check with your doctor first. But if your doctor gives you the all-clear, staying active during your pregnancy can help improve your circulation (and alleviate some of that unpleasant swelling in the process), boost your mood, improve your range of motion and strengthen your body for birth. It will also make it easier to get back in shape once you’ve had the baby. That said, you should always listen to your body. 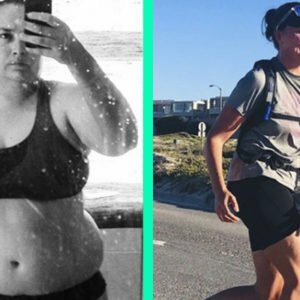 During her first trimester, Takkies suffered from terrible morning sickness, so she took time off training until it passed, even though her tight, fit body was getting soft. “I told myself, you are beautiful. You’re growing a human. And once I tapped into that, I felt so powerful,” she says. As soon as the sickness passed, she was back in action and trained right up until she gave birth. 3/ Eating healthy, nourishing food. Takkies doesn’t believe in strict diets. “I’m not big on diets. I’m all about eating clean,” she says. “I stick to fruit, vegetables, chicken and fish and stay away from anything deep-fried. And I drink lots of water and lots of rooibos ’cause I’m breastfeeding.” She also eats plenty of healthy carbs, like potatoes, to help keep up her milk supply. That philosophy of eating for nourishment is healthy and sustainable. Time isn’t exactly something new moms have in abundance. Plus, you’re exhausted all the time. All of that can make it difficult to follow a strict eating plan. 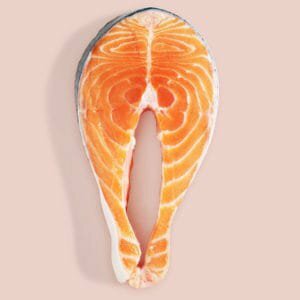 But if you commit to stocking the fridge and cupboards with fresh, healthy ingredients, you’re feeding your body nutrients that it will use instead of empty kilojoules that it will store as fat. 4/ Enjoying the occasional treat. While she generally avoids sweets, chocolates and ultra-processed food, Takkies also doesn’t believe in deprivation. “I don’t starve myself,” she says. “I believe in eating clean, but if you crave something, you can have bits of it just so you can stay sane and happy. 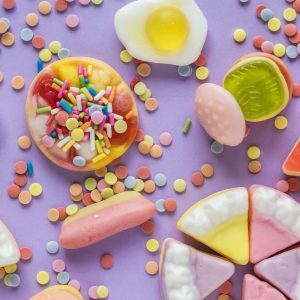 There’s no point in doing something if it doesn’t make you happy.” If you allow yourself a little nibble of something you’re craving, you’re much more likely to stick to a little nibble – like, say, two blocks of chocolate. Tell yourself you can’t have it and the craving will grow until you eventually give in and eat the whole slab. 5/Loving her body instead of punishing it. 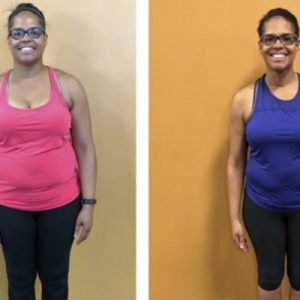 Rockingnheels is one of the most fun workouts you’ll ever try and there’s a reason for that – the focus is not on working your body hard to fit into a certain size. Rather, Takkies’s message is, love your body as it is now. And she practises that philosophy in her own life too. “Because I’m breastfeeding, I haven’t been consistent with the gym,” she says of her post-baby exercise regimen. “I go when I have time or twice a week when my nanny’s there. I’m being a mommy first.” It’s easy to slip into an all-or-nothing frame of mind. So if you can’t go to gym five days a week, you may as well not go at all. But when it comes to exercise, there are two things to remember: A little is better than nothing and consistency is key. Two days a week every week will work better than a five-day week followed by three weeks off. Do what you can and don’t beat yourself up for not doing “enough”. The December issue of Women’s Health is on sale now!